What is a Lipodissolve Procedure? Lipodissolve involves a series of injections to “melt away” unwanted localized areas of fat, and improve the appearance of cellulite and skin. 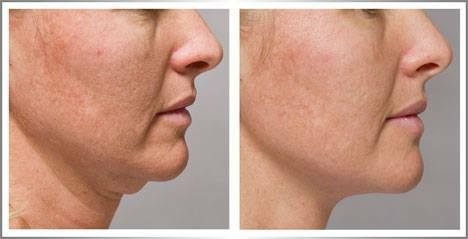 Lipodissolve is a chemical formula including phosphatidylcholine, an essential molecule in the body’s cell membranes; deoxycholate, a natural digestive enzyme; and a cocktail of fat burners, skin tighteners and metabolism boosters. Other ingredients that may potentially be included in the Lipodissolve solution are antibiotics, enzymes, hormones, multivitamins, alpha lipid acid, plant extracts, anti-inflammatory, and non-steroidal medications. When injected into the fat layers and connective tissues of the body, these ingredients combine to destroy and remove localized fat deposits. Many people use Lipodissolve treatments to reduce fat in the chin area, the upper and lower stomach, love handles, backs of arms, thigh saddlebags, knees, and under the upper arms between the elbow and armpit. In fact, any areas of the body that retain unwanted pockets of fat that are resistant to diet and exercise may benefit from Lipodissolve injections. Lipodissolve treatment can also reduce cellulite, stretch marks and scars. Lipodissolve injections remove fat evenly, with very low risk of dimpling, leaving skin smooth and rejuvenated. Lipodissolve is a viable non-surgical fat removal option for people who do not want to undergo the risks, cost and downtime associated with other fat reduction treatments such as liposuction. The Lipodissolve injections treatment typically lasts less than an hour, and patients may return to work and their normal daily activities immediately.